Many activities draw the family outdoors this time of year. 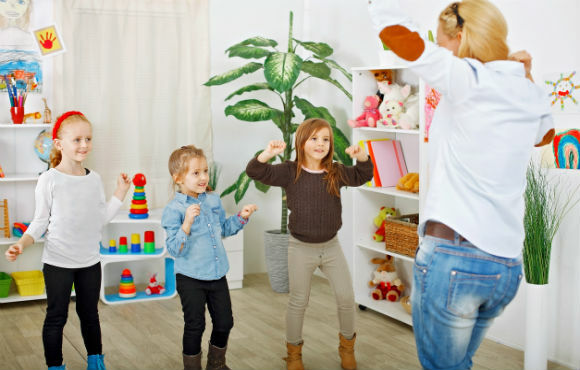 In addition to yard work and dinner on the deck, it's also a great idea to move everyone's exercise routine beyond the four walls of the house or the local gym. Exercising outdoors may increase the duration of your workout. Have you ever noticed that a walk or run seems to pass by faster outside? You're not alone. A 2012 study found that adults exercised longer when they walked outside than when walking on a treadmill. 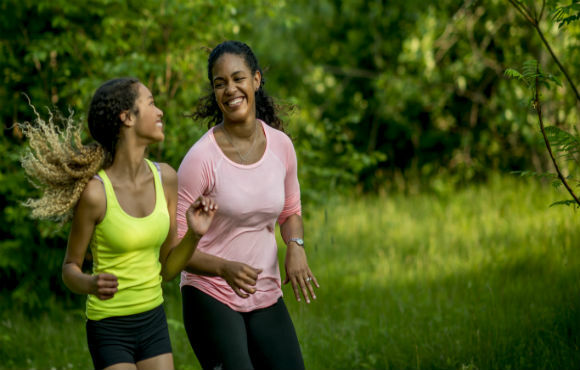 The study's participants also reported enjoying the exercise more when they were outdoors. You may also work harder outdoors while performing the same exercise. Running and cycling against wind resistance is more challenging than running or riding a stationary bike inside. 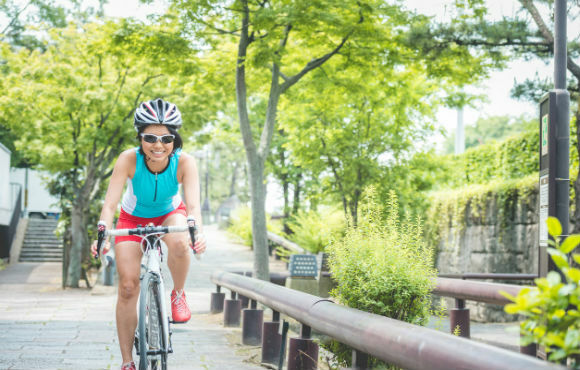 Combine this with balance and additional physical challenges caused by changes in terrain, especially while trail running or charging up hills on your bike, and the end result is a more challenging workout. Each member of the family experiences stress in his or her own way. 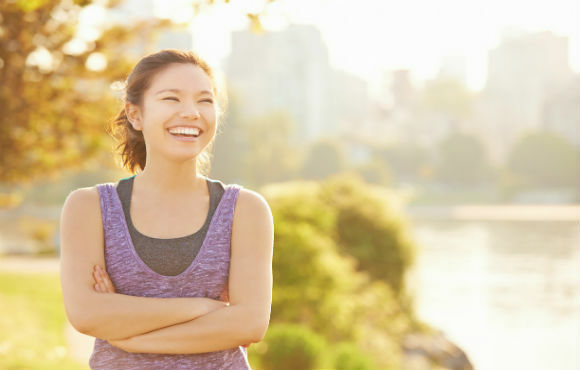 Exercising outside can help decrease levels of cortisol, a stress hormone. This can be an especially helpful benefit during a busy week at school or at the office. Along with enjoying the workout more and reducing stress, exercising outdoors improves general mood and energy levels. Exercising outdoors has also been found to decrease feelings of anger, confusion or tension. 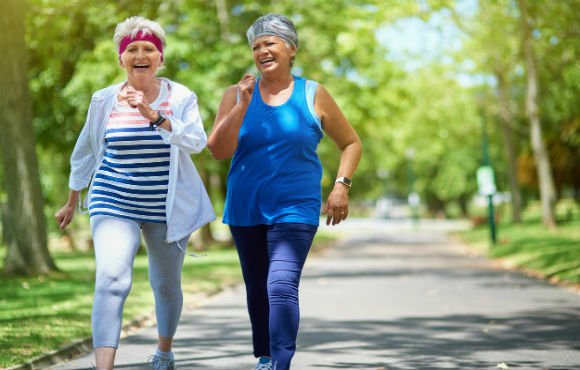 Walking or running in a local park, or even along your neighborhood's sidewalks, is a great way make connections. 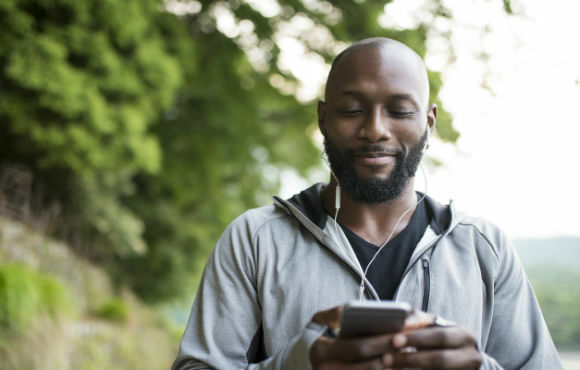 While some may prefer headphones and privacy when they exercise, others will enjoy the opportunity to socialize. Especially for older adults, a walk in the neighborhood can strengthen relationships and a sense of community. It's recommended for children to get at least an hour of activity each day. 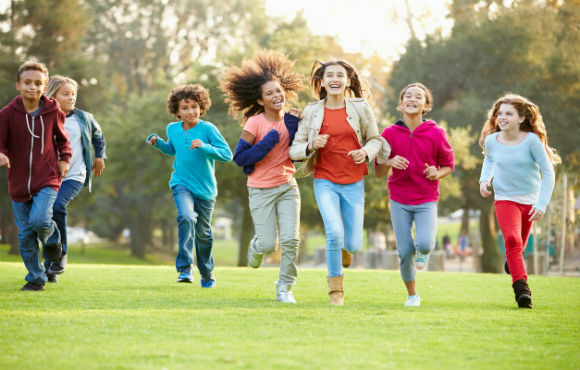 Being outdoors with friends encourages kids to move almost three times more than staying indoors, according to a study from the University of Bristol. 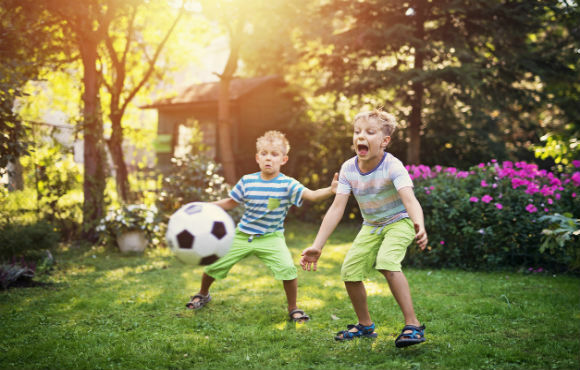 Recess, time spent playing outdoors and time playing sports are also good for kids' brains. Researchers in Copenhagen looked at the effects of physical activity, including both indoor and outdoor exercise. 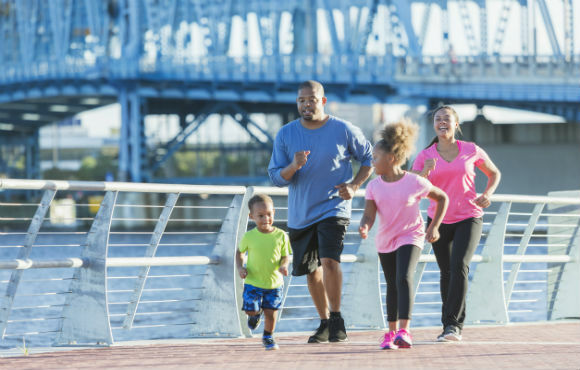 They found that "a single session of moderate physical activity has an acute benefit to brain function, cognition and scholastic performance in children and youth." Finally, exercising outdoors is accessible, easy and free. Sure, you can set up a circuit with weights and equipment, or choose an activity like biking or skiing that requires some gear. But, it's just as fun to grab a soccer ball and play with your kids in the park. You can also take a walk or go for a run almost anywhere. There are outdoor options to fit any budget or interest.